In my life I learned how to love to smile to be happy to be strong to work hard to be honest to be faithful to forgive but I couldn't learn how to stop rembering you. 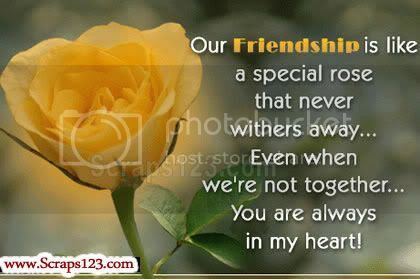 There is a gift that gold cannot buy, a blessing thats rare and true, thats the gift of a wonderful friend like the friend that I have in you! Friendship opens many doors, Each wit a different view. But none could be more beautiful, than the one that l have with YOU..